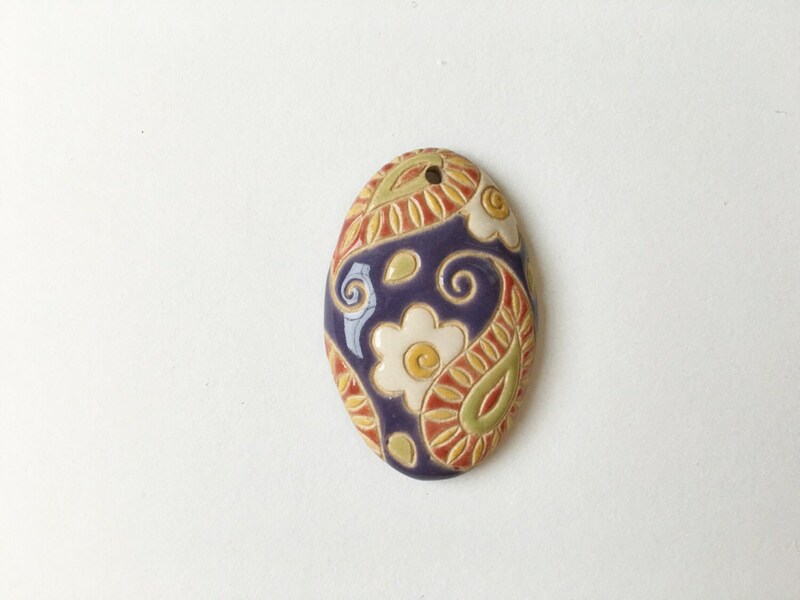 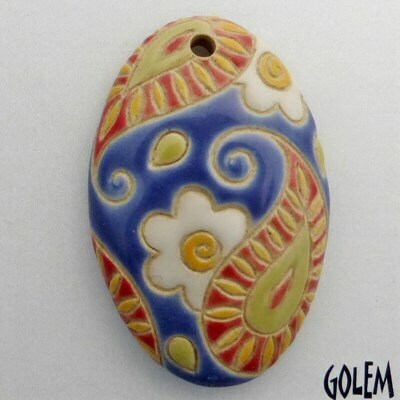 Daisy Paisley is a beautifully handcrafted ceramic pendant bead made in Bulgaria. 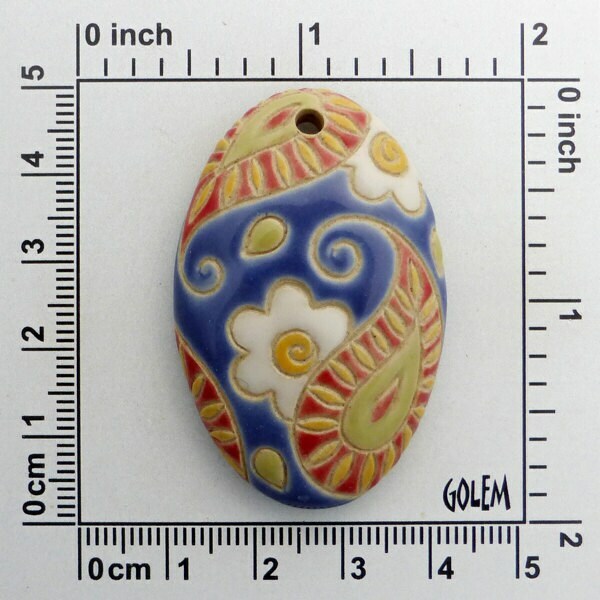 It measures 2 inches long and 1.5 inches wide. 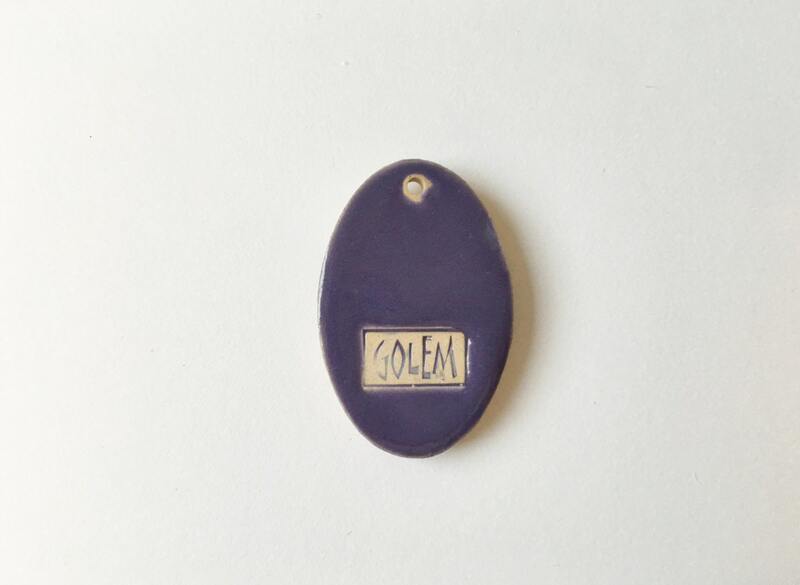 There is a top drilled hole measuring 4mm.